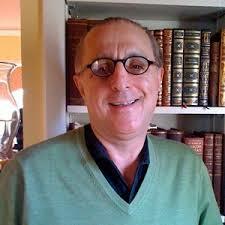 Hrach Gregorian is President of the Washington, D.C.-based research organization, the Institute of World Affairs. He is member of the Graduate Faculty, School of Peace and Conflict Management, Royal Roads University; Adjunct Professor and Research Fellow, Centre for Military and Strategic Studies, University of Calgary; Adjunct Professorial Lecturer, School of International Service, American University; Senior Research Fellow, Centre for Global Studies, University of Victoria; and Senior Fellow, Canadian Defense and Foreign Affairs Institute. For over three decades Gregorian has been active in deep cultural and risk analysis in fragile states, with field experience in Africa, the Middle East, the Balkans, Central and East Asia. He earned his M.A. and Ph.D. degrees at Brandeis University, and B.A. at Boston University. Dr. Gregorian served as one of the founding directors of the United States Institute of Peace. He developed the Institute’s first professional training program in conflict analysis and negotiation. The course was offered to senior members of the US State Department, USIA, Voice of America, and USAID. He is also one of the co-founders of the Alliance for Peacebuilding, the largest US-based membership organization of institutions and professionals in the field of peace and conflict management. Dr. Gregorian’s work on stability and peace operations in fragile states has taken him to twenty five plus countries. His recent publications have focused on interagency coordination in peace operations, capacity-building in fragile states, and energy and conflict. He is the recipient of American University’s Capital Area Peacemaker Award and a Boston University Distinguished Alumni Award. He sits on various boards.